fairways are carved out of dense forest, making each hole secluded, distinctive and memorable. Its small, well-bunkered greens were crafted with handicap players in mind, while four sets of tees and generous entrances to greens provide players of all skill levels with an enjoyable challenge. Longwood's fairways are carved out of dense forest, making each hole secluded, distinctive and memorable. Its small, well-bunkered greens were crafted with handicap players in mind, while four sets of tees and generous entrances to greens provide players of all skill levels with an enjoyable challenge. 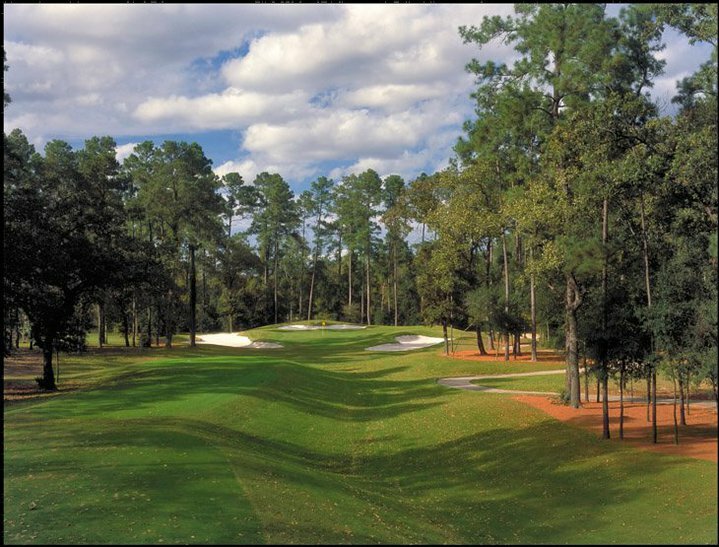 Designed by former touring pro Keith Fergus and University of Houston golf coach Harry Yewens, this 27-hole course combines a picturesque setting with world-class golf. It has been rated among the top daily fee courses in the Houston area. The spectacular 27-hole layout has been awarded four stars in Golf Digest& ranked #39 in Places to Play. With a variety of memberships, lesson programs, corporate meeting and wedding facilities available, you have several great ways to enjoy the Longwood experience. Whether as a member or daily fee guest, you'll be treated to world-class golf and unparalleled service. Open to all members of both Longwood Golf Club and Cypress Lakes Golf Club, we hold monthly tournaments in a fun and competive atmosphere. Want to join in the fun of the Triumph Golf Association? Please inquire here for more information.